Working from Home? – Don’t forget the home office deduction. Running your own company generally involves functions that occur away from the client’s premises. Many administrative jobs, planning, report writing and preparation are most likely performed from home. Other companies claim the cost of running and maintaining their offices. 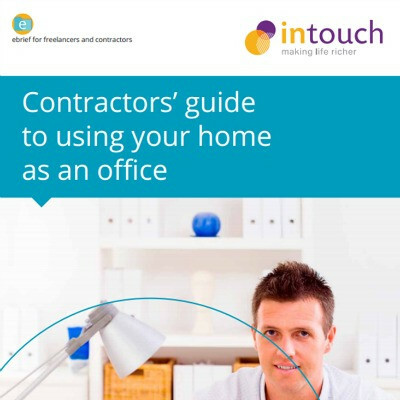 So if your office is also your home, which costs are you entitled to claim? Read on and make sure you’re not missing out on all you’re entitled to. But, fortunately not even HM Revenue and Customs (HMRC) is that unfair! Which expenses can I claim working from home? HMRC generally takes a rather pragmatic approach and has confirmed that, provided the claim is reasonable and consistent with the type of business being operated, it is unlikely to make any enquiry into the value of the claim by the company or the receipt of income by the home owner. Sadly, not all local HMRC officers follow this approach, or apply consistent reasonableness tests; and so it remains important that you are prepared to justify the basis upon which you make your claim. So how can I make a use of home claim? A practical difficulty in quantifying use of home claims has always been that accurate apportionment of expenses between the two forms of use requires knowledge of the overall household expenses attributable to the business area of the house, and the actual time duration of personal and business use for that area. For this reason, and in an attempt to simplify the process, HMRC recognises this difficulty and has indicated that they will accept a reasonable basis being used. Property costs can be divided into fixed and running costs. A claim can be made for both of these and can also include apportionment of any capital expenditure. Unfortunately, capital expenditure on property improvements is not available, but capital expenditure on office equipment can be, provided it has some business use. Where part of the house (such as a study) is set aside for business use for a specific period of time, then it’s normal to apportion costs on the basis of floor area and time period, unless there is a more appropriate basis that can be applied. Some fixed costs relate to the whole house and have to be paid even if there is no business use; these include costs such as Council Tax, mortgage interest or rent, insurance, water rates and general repairs. Capital repayments on your mortgage are not an allowable deduction and you should make sure you don’t use the repayments in calculating the apportionment of interest. Where fixed costs are clearly attributable to one use, business or personal, then the cost should be entirely allocated to that use. When you decorate your study (home office), if it has been set aside entirely for business use, the cost of decorating that room can all be claimed. Running costs generally vary according to use. When apportioning running costs such as metered water rates, sewerage, light, heat and power, telephone and broadband, and cleaning, maintenance and repair; you should consider not only the floor area and time period, but also perhaps other more relevant factors, such as the number of people in the household. Some costs can have both fixed and variable elements, such as telephone bills. Telephone bills consist of a fixed line rental and variable call costs. HMRC has accepted that a proportion of the fixed landline rental costs can be claimed where the calls are business and private, on the basis that during the business call the line rental is solely for business purposes. Broadband is another example where, strictly speaking, it should be apportioned according to actual use. In reality, and with broadband costs becoming cheaper, a sensible split based on the users in the household and expected periods of time would be deemed reasonable. If you adopt the flat rate, you keep none whatsoever. If you adopt the apportionment basis you will need to keep all your invoices and receipts as evidence of the costs incurred. You should then record the basis of apportionment for each type of expense and the detailed calculation. What happens if you claim too much? Claim the full amount and declare the excess private element as a benefit in kind on your P11D. If you adopt the flat rate scheme, you don’t have to keep records. If you adopt the apportionment basis you will need to keep all your invoices and receipts as evidence of the costs incurred. By adopting a sensible and realistic approach reflecting your business circumstances, you should be able to successfully handle any enquiry from HMRC. John is site based and writes up his business records at home. He uses a room solely for business use for a short period each week. He estimates that £4 covers the cost of the proportion of the property costs, plus the electricity for heating and lighting. Although the claim for £208 is obviously an estimate of £4 per week, the claim is small and reflects the facts of the case. It is arguably a reasonable estimate of the expense incurred. Bill works on site but also runs a small peripherals business through his company. He uses one small room at home as an office, exclusively for the purposes of his trade. The room represents 5% of the floor area of the house. His Council Tax, insurance and mortgage interest bills total £8,500. He claims 5%. His electricity bill for heating & lighting is £1,500. He claims 5% of the total. His total claim is £500 (plus the business proportion of his phone bill). Although Bill has apportioned his electricity bill by floor area rather than usage, the amount claimed is small and there is nothing to suggest that his business use is significantly greater or lesser than his private use. It can be accepted as a reasonable estimate. Christina is a technical author and uses her living room from 8am to 12am. During the evening, from 6pm until 10pm it is used by her family. The room used represents 15% of the area of the house. The fixed costs including cleaning, insurance, Council Tax and mortgage interest total £16,600; 15% of the fixed establishment costs are £2,490 and one sixth (4/24) of the total room usage is for business, so Christina claims £415..
She uses electricity for heating, lighting and to power her computer, which costs £2,500 per annum. Christina considers an apportionment of these costs first by area and then by time by time; 15% of the costs are £375 and half of these costs (4hrs/8hrs) relate to business use, she claims £188. She also uses the telephone to connect to the internet for research purposes. Her itemised telephone bill shows that a third of the calls made are business calls. She can claim the cost of those calls plus a third of the standing charge. Christina has some work done on the house. She has the exterior painted and at the same time has the dining room re-decorated. What, if anything, can she claim as a deduction? The exterior painting is a general household cost. She can claim a proportion based on business use. Christina does not use her dining room for business purposes. The cost of redecorating the dining room is not an allowable expense. Example 4 – Use of a Study during office hours. Gordon is a business analyst working mainly from home. He dedicates a room solely for use as his office between 9am and 5pm daily. The room contains a workstation, office furniture and storage for his reference books and software. He uses the room for an average of 4 hours each day, though often this is spread over his working 8 hour day as he has a number of regular site visits to make. In addition it is not uncommon for Gordon to accommodate clients in his office to discuss plans, outside of normal hours. The room is available for domestic use outside of business hours and his family regularly make use of the room for around 2 hours each evening. After apportioning costs by reference to the number of rooms in the house, Gordon calculates the room uses £300 of variable costs (electric and oil) and £600 of fixed costs (council tax, mortgage interest, insurance). In apportioning these costs by time Gordon claims £680 in total, made up of 4/6 of variable costs (£200) and 8/10 of fixed costs (£480). The claim equates to 75% of the total costs attributable to the room (£680/£900), which Gordon views as a more straightforward but equally reasonable basis for future claims, should his circumstances remain unchanged. Have you ever thought what would happen if you decided you wanted to formally rent part of your house to the company? If you did just that, the rent paid by the company would be a permissible deduction; however,the rent received by you, personally, would be a taxable receipt subject to Income Tax (probably at rates in excess of the 20% Corporation Tax rate at which tax relief is obtained). So not a popular choice! Some taxpayers used to argue that ‘rent a room’ relief (where you can receive rent up to £4,250 per annum tax free) could be used, but that’s long been discounted. And the rules always stood that rent a room relief does not apply to business use as an office. Also not a popular choice! If you work away from home, the costs of your temporary accommodation are eligible to be claimed as part of your travelling and subsistence costs. So be careful not to duplicate costs for “Use of Home” with overlapping periods of time claimed elsewhere. When you consider yourself to be “genuinely in business on your own account” and contractually outside the scope of IR35, then the nature of any claim for use of home as an office should reflect that status. You would be expected to run your business in an efficient manner and that would include provision within your home of dedicated space for business use. You may also require dedicated furniture, equipment and even unique business telephone and broadband connection as an essential element in running your business. Your household insurance is unlikely to include your business and so you may take out specific cover for your assets, perhaps including public liability insurance when meeting clients at home. And what about Capital Gains Tax? It is well established that a gain in the value of a property whilst it is your main residence is free of Capital Gains Tax (CGT). However, if part of your main residence is used exclusively for business use, this exemption can be lost for that part of the property. So how does this work alongside a use of home claim? A restriction for exclusive business use for only part of the time would appear to not jeopardise principal residence relief. This would not be the case if part of the property were commercially rented to your company. In this scenario, it’s likely that CGT exemption would be lost for gains attributable to that part of the property. It is not uncommon for contractors to build a dedicated office building in their garden, or to extend their loft with an office conversion. The capital cost of these structures can be met by the company, but you won’t get Corporation Tax relief via your company for the structural costs. If you personally borrow the money to fund the build or conversion costs, then the interest is an allowable deduction under use of home, or if the loan was taken out by the company as loan interest. When you eventually sell the house, part of the proceeds are allocated to the garden office or loft conversion and belong to the company. The company is deemed to have made a disposal of the asset. The proceeds less the original capital cost, enhanced by some extra reliefs, are a profit subject to Corporation Tax (not CGT). If you cease to use the building for business purposes and start using it domestically, then there is likely to be a benefit in kind charge. Alternatively, you might consider acquiring the asset outright from the company, making it part of your main residence. Finally, don’t forget to think about VAT. If you have adopted the flat rate scheme it may limit the VAT that can be recovered. Be careful if you decide to construct a dedicated office building – it is always safer to seek advice before you start. If you only use a table top whilst your family watches TV, there is no right to claim use of home whatsoever. If you set aside part of your home at specific times for business use, then you are able to claim use of home. Decide whether the weekly flat rate of £4 or the more detailed apportionment basis is most appropriate. If you adopt the apportionment basis, record the basis and method of apportionment, review this annually and maintain a record of the actual costs. Has the expense been incurred “wholly and exclusively” for the purpose of your business? If you follow this guideline, in general terms, and allowing for some exceptions, if the expense meets this definition, it is allowable as a tax deduction. These tips are for information purposes and are just a place to start. We recommend you seek advice from your specialist contractor accountant who will review your specific situation and provide you with the right advice to make sure you’re claiming all the benefits you’re entitled to. The Perfect Mix of Team, Technology & Expertise – all for a monthly fee Intouch Accounting are Limited Company Accountants who advise thousands of contractors and help many of them overcome issues with the taxman everyday. We have an experienced friendly team who can set up a company for you, manage your accounts and provide ongoing advice in relation to home office claims. As an Intouch Client you also get 24/7 access to our innovative Client Portal, which saves you time when managing expenses and invoices and lets you know where you stand at all times. Why not explore what becoming a Limited company contractor means for you or switch to a better accounting service. Give us a call on 01202 901 385 or visit www.intouchaccounting.com and we can go through your circumstances and advise on what is best for you.